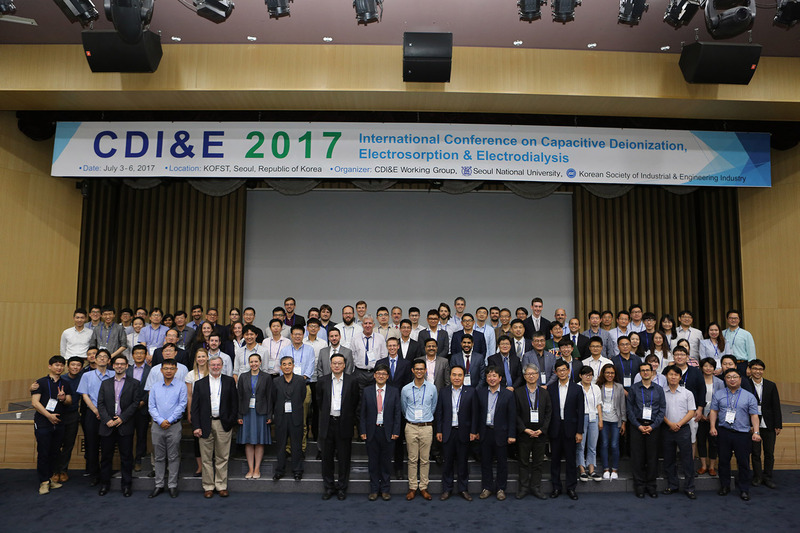 Following the CDI conference recently held in the Republic of Korea, July 2017, twenty scientists active in the field of CDI worked on a joint position paper, putting forward the proposition that CDI defines a class of desalination technologies that share common operational principles and relevant metrics, thereby joining under one common term different CDI cell layouts and chemistries. Thus, according to the position paper, the class of CDI includes electrodes based on carbon materials, but as well electrodes with ion storage based on different chemistries such as using redox materials. The position paper can be downloaded via the link given below. P.M. Biesheuvel, M.Z. Bazant, R.D. Cusick, T.A. Hatton, K.B. Hatzell, M.C. Hatzell, P. Liang, S. Lin, S. Porada, J.G. Santiago, K.C. Smith, M. Stadermann, X. Su, X. Sun, T.D. Waite, A. van der Wal, J. Yoon, R. Zhao, L. Zou, and M.E. Suss, "Capacitive Deionization -- defining a class of desalination technologies," ArXiv:1709.05925 (2017). Posted in CDI on September 23, 2017 by Maarten Biesheuvel. Last week's CDI-E's conference was a big success. 180 participants gathered for three full conference days in the heart of Seoul, Republic of South Korea. The conference, hosted by prof. Jeyong Yoon and his team of Seoul National University, proved invaluable in informing participants of all the latest developments in CDI technology, both from an academic and industrial perspective. The versatile program consisted of a tutorial session, plenary and keynote lectures, regular lectures and two poster sessions and gave food for thought to all attendants. The lively and amiable atmosphere gave the whole conference the right touch of feeling welcome in perhaps one of the most vibrant places in the world, the famous Gangnam district, a place that never sleeps. Posted in CDI on July 12, 2017 by Maarten Biesheuvel. CDI publication statistics through the roof ! ... and the field of Capacitive Deionization keeps on growing at an increasing speed ! While over 60 scientific publications are now written and published annually, citations to the CDI literature have grown from a number less than 100 per year before 2010, to about 2000 per year at the end of 2015, and this number continues to rise. Analysing citation data for the past 10 years, an exponential growth in citation rate is clearly observed, with a doubling of the citation rate every 18 months ! Posted in CDI on May 24, 2016 by Maarten Biesheuvel.